Recently I published an iPhone/iTouch/iPad application (sTeam Achievements) for those people who play games via the popular Steam service. The application relies on the user making their achievements public and knowing how to sign-in using either their ‘Custom URL or Steam ID’. However, Steam uses a number of names to represent the user and several of my application’s customers have struggled to properly connect. So I thought I would attempt to explain what these details are. 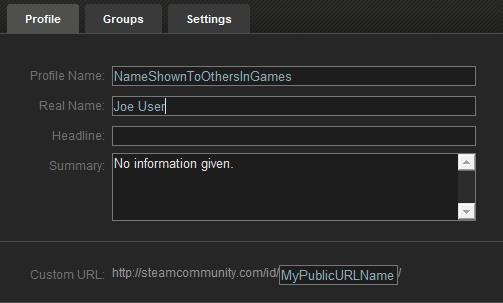 This is your Steam Username, typically no-one else will see this name, it’s private to you. This is NOT required by sTeam Achievements. Login. The last step for allowing access to your details from sTeam Achievements is to make your achievements publically available. So hopefully you now have enough details to make use of sTeam Achievements. 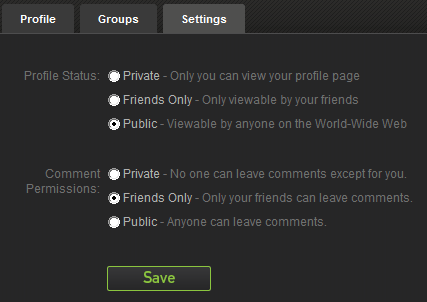 It’s also worth pointing out that if you want to create a team with your friends then they’ll have to configure their profile using the same steps. Hope this helps, happy gaming.